I’ve been on a galette roll. It turns out it’s so simple to make a galette, it’s easy enough to do every day. My neighbor is thrilled. I can’t seem to stop, so I send him half of each. It started with sour cherry, but the blueberry one is so darn good I’ve made it several times now. 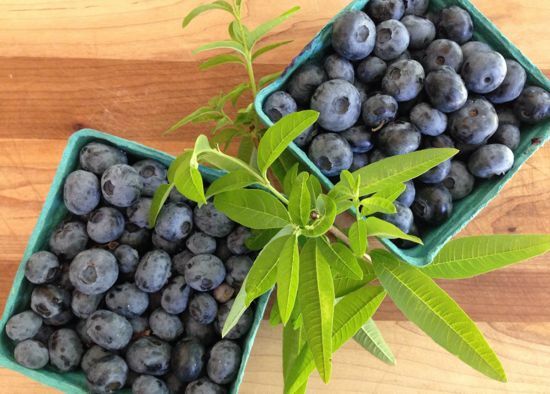 In a large bowl, gently stir together the blueberries, sugar, flour, lemon verbena and lemon juice. Let this mixture hang out on the counter for an hour or two (more than that, refrigerate until needed, no more than 24 hours). Heat the oven to 400°F. Line a baking sheet with parchment. 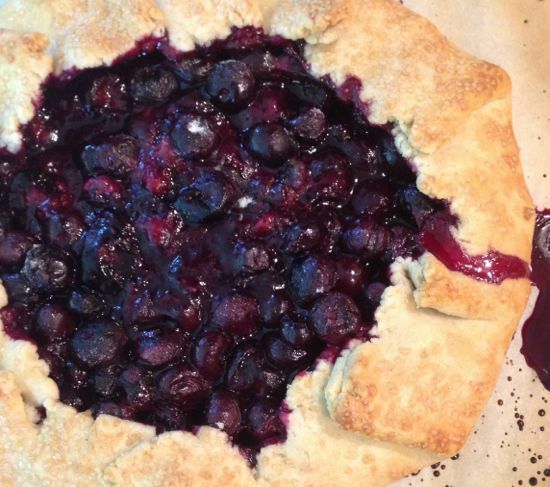 Roll the pie crust into a circle about 12 inches in diameter. Place on the parchment lined baking sheet. 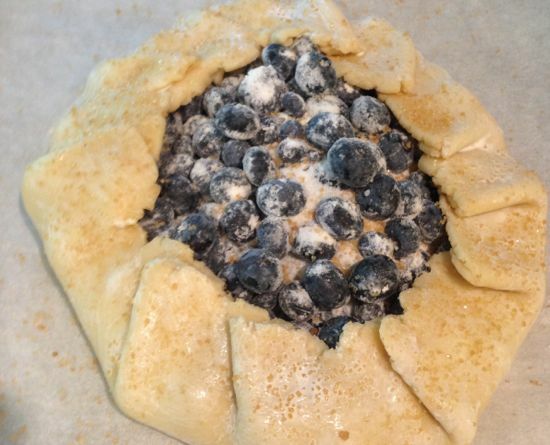 Remove the verbena and pile the blueberries into the center of the dough round. Lift the edge of the dough covering about one third of the berries (leaving a good portion of the berries exposed). Work your way around the galette, lifting and pleating the dough in one direction. It’s just a simple fold. Don’t fret if it isn’t perfect. Rustic is the name of the game. Dot the filling with the butter, brush the crust with the milk and dust the entire galette including the fruit in the center with a heavy handed coating of coarse sugar. Bake at 400°F for 35 to 45 minutes, until the filling is bubbling actively and the crust is a deep golden brown. Cool slightly or completely. Cut into six or eight wedges. Serve with a dollop of creme fraiche or mascarpone. Repeat the next day and the next and the next. Gorgeous. Galettes are our go-to dessert. What a beauty and my favorite berry, too! Gorgeous. Galettes are a favorite of mine. They are a wonderful summer dessert. I agree that rustic is the name of the game. G is for glorious galette.